Bravo! Vail's Free Concert Series includes 12 concerts at locations throughout the valley July 3-26. Bravo! 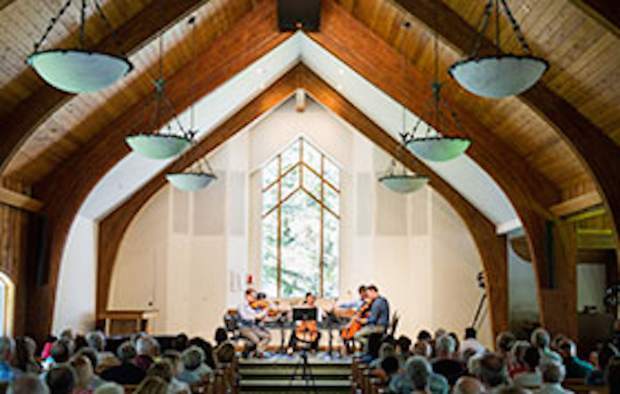 Vail provides world-class music and top-notch educational events free of charge throughout the summer. The festival returns June 21 to Aug. 2. Whether you’re new to classical music or a classical fanatic, Bravo! Vail’s summer season offers more than 30 free events to add to the summer experience in Vail. The New York Times describes Asphalt Orchestra as a “new-music group disguised as a ragtag marching band.” The group from New York City brings together rock, jazz and classical players will perform in the streets and other public places throughout the summer. Watch for scheduled and impromptu performances July 4-8. As part of the Bravo! Vail Free Concert Series, 12 concerts at locations throughout the valley will take place July 3-26. These free, hour-long chamber performances by the festival’s renowned musicians cover a variety of classical music. Resident musicians will set up at the Vail Ale House on Saturdays July 7, 14 and 21 for captivating intimate concerts. The hour of music takes place in the casual setting of Vail Ale House and includes classical pieces as well as innovative contemporary works. Magic Circle Mime’s “The Listener” will be performed in two locations on Thursday, July 12, in Vail and Gypsum. These musical adventures introduce young audiences to the workings of an orchestra and explores the relationship between the audience and musician. As part of Bravo! Vail’s Little Listeners series, eight concerts will take place July 2-26 at public libraries across the valley. Kids will get the chance to see live music and participate in activities including the instrument petting zoos where they can play and hold instruments. These free talks, led by esteemed musicians and performers, will help create a deeper connection to the music. Six select performances will open an hour early for pre-concert talks throughout the festival. Gain insight and perspective about the music and personalities performing by watching and listening to pianists Anne-Marie McDermott and Jean-Yves Thibaudet coach the Bravo! Vail Piano Fellows on July 11 and 13.